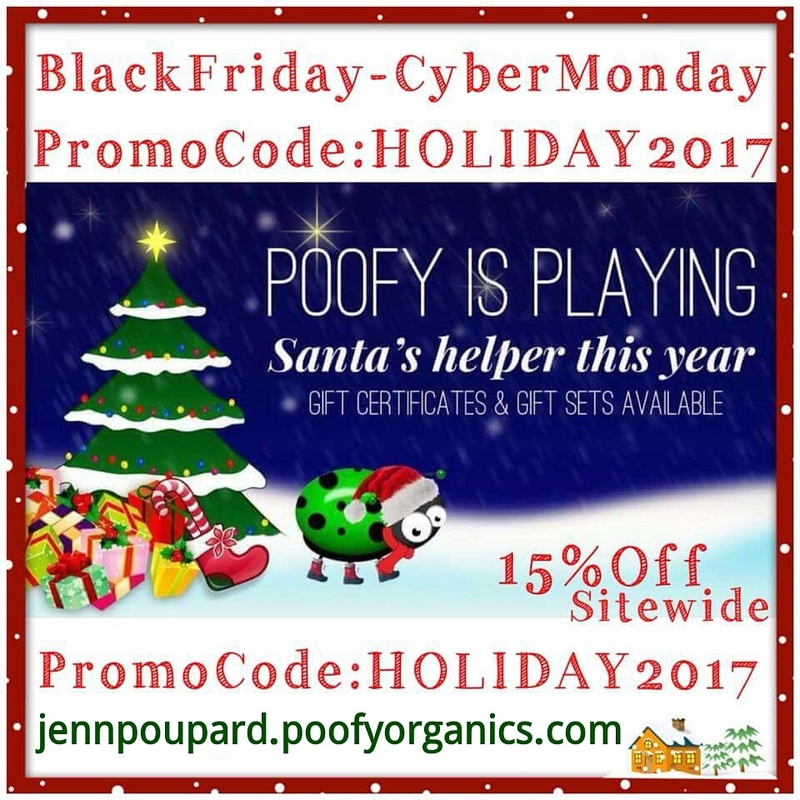 Poofy Organics has a 15% off sale until Monday at 11:59 est. This is a big deal, especially combined with all first time orders get a 10% rebate from me. You must use the promo code to get the discount. There is no way for them to go back and apply it to a previous purchase. 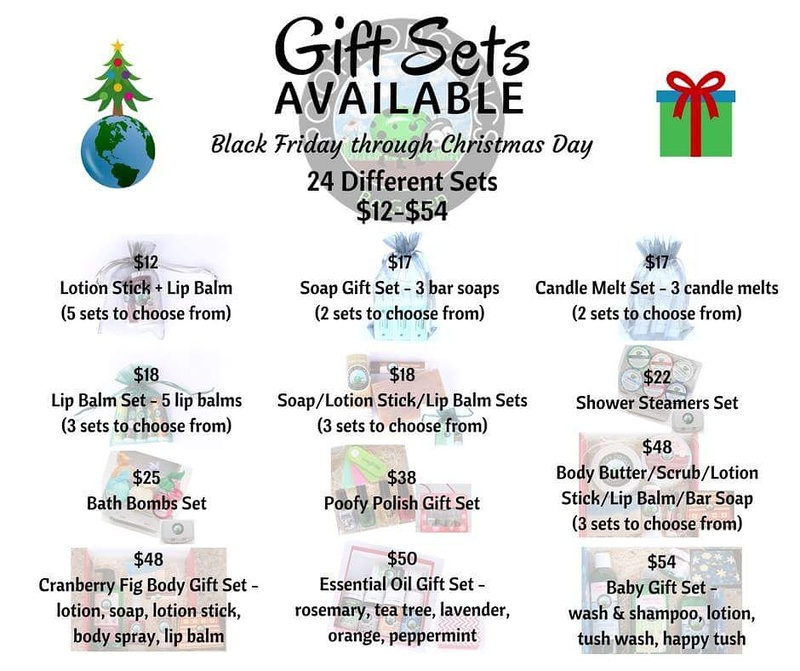 There are some great gift sets available that also get the 15% off. And, starting December 1st is the 12 Days of Poofy, with a new item on 50% off each day (limit two per customer). The next sale won’t be until Earth Day, so this is a great chance to stock up! Some of my favorite Poofy products are the shea butter, shampoo bars, hair wax, and essential oils, all USDA organic. I am really excited to get to try the Anti Stick, Everything Salve, and Ta Ta Dandruff shampoo (about to be renamed). I will be getting Tinsel Town nail polish for Wallace and some wax melts as gifts for family. I believe in these products and this company so much that I have paid more in website fees in the last year and a half than I have received in commission. I love knowing that every product is toxin free, non carcinogenic, vegan, and gluten free. This entry was posted in Linked Up, poofy organics and tagged baby products, cyber Monday, gluten free, made in usa, makeup, natural beauty products, poofy organics, shampoo, small business Saturday, soap, vegan. Bookmark the permalink.